The unpredictable traffic isn’t the only stuff that nightmares are made of in the booming IT hub. Bangalore has a reputation for spooky and scary spots that could rival a tunnel of horrors – these are actual places where ominous activities and restless spirits run wild. So, if hunting ghosts and ghoulies are your idea of good time, we have the perfect locations to get your fill of the supernatural in the city. 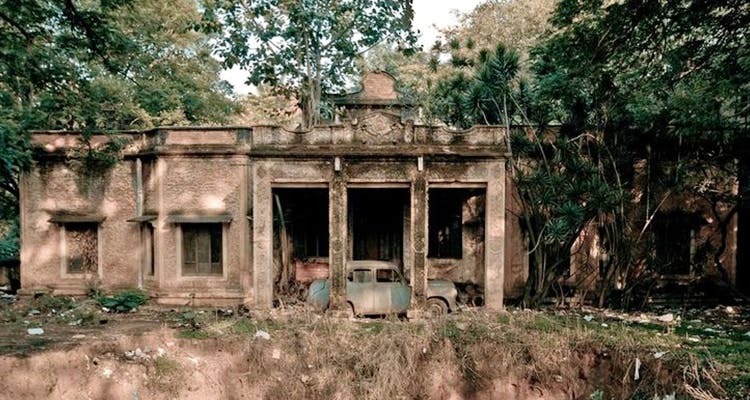 Read on to learn more about haunted places in Bangalore. This house is allegedly haunted after one of its occupant was brutally murdered – dropping temperatures, eerie sights and mysterious sounds are just some of the accounts from the locals and thrill-seekers brave enough to explore its surroundings. The colonial house belonged was built in 1943 by El Vaj who gifted it to his two daughters: Dolce and Vera. In 2002, Dolce was murdered in the house and later her sister moved out leaving the property abandoned and in ruins. Since then, there have been reports of strange noises such as the keys of a piano being played, and even though the house was recently razed to the ground the stories of haunting in the area continue. Located near the Old Madras Road, Kalpalli is one of the oldest cemeteries in Bangalore and the final resting place to hundreds. However, many a visitor here has experienced a close otherworldly encounter they cannot quite explain. While some accounts tell of a mysterious man like being dressed in white who roams among the graves only to disappear when approached, others talk about the air being so heavy that one feels almost suffocated in some areas of the premises. Many also tell of the strange feeling of being watched as they walk through the graveyard while some brave enough to pass through after dark have sworn to have seen spirits rise from their graves in the dead of the night. This route is famous for various stories from motorists who seem to have had an encounter with the paranormal here. This is a fairly lonely stretch and the graveyards on both sides of the road don’t help much either. Motorists and rickshawala alike claim that they have been often stopped by a mysterious old woman asking for a lift. No wonder that the Hoskote route makes the list for Bangalore’s most haunted. Victoria Hospital is located near Bangalore City Market and has been serving patients for more than a century. However, recently the hospital has been receiving some unwanted attention. People claim to have seen a ghost dressed in white loitering around the resident tree in the garden. The ghost, however, seems to have more important matter to tend to like eating and drinking! The hospital staff claim that it has been stealing Biryani packets from near the tree and also tea from the canteen area. Highways and haunting seem to go hand in hand! As cliche as it may sound, many people claim that they have had their tryst with the unexplainable on this very route. While a number of incidents are doing their rounds, adding fire to the controversial claims, one in particular seems to stand out. The story goes like this: a man driving down the highway stopped and gave a pretty young lady a lift on one particular night; however, as soon as he turned around to ask her where she was headed, she had vanished only to appear later when the driver headed his way laughing hysterically and pointing at him! According to Hindu mythology, evil spirits nestle in certain types of trees. Usually, it’s the banyan tree that is part of these stories. In particular, a large banyan tree in the Tiptur area (150 kilometres from Bangalore) is famous for advancing this belief in Karnataka. People claim that they have had serious bouts of misfortune around this very banyan. So much so that the locals couldn’t take it anymore. A few years ago, the locals decided to cut the tree down. This was performed under the supervision of various priests; however, there seems to be a eery hangover of malevolence present over there. The tree is no more, but its presence is still felt. This particular spot happens to be right in the hub of the city. The story revolves around a particular woman who worked at a call centre and was killed by a drunk driver. The driver fled the scene, leaving the woman for dead. People claim that they have seen the ghost of the woman often during their change of shift, late at night. If you’re working the night shift on M G Road, do watch out! The most unlikely candidate on this list, but believe it or not there have been sightings of a ghost, all in white. From taxi drivers parked in the taxi bay to staff workers working on the tarmac, everyone seems to have caught a glimpse of the lady in the white saree. Once, even a pilot spotted such a lady, describing her as a person in white clothing and loose hair. But when the authorities investigated the site, she was nowhere to be found. So the next time you do decide to fly out of this airport do keep your eyes wide open at all times! Believe them or not, all large cities have their share of these stories. And Bangalore is no different. Have you personally experienced any of these? Do you know of any other haunted places in Bangalore? Do let us know in the comments below?